As you reflect on the past week and rest for one that will equally bless you in the days ahead. Set your intention for it. Clear the way. Which gets me to the theme of today’s post about clearing the mental clutter. Many people think of it as stuff around their space—and it is that. Some think of it as being surrounded by people who bring drama to their lives—I believe it is that, too. 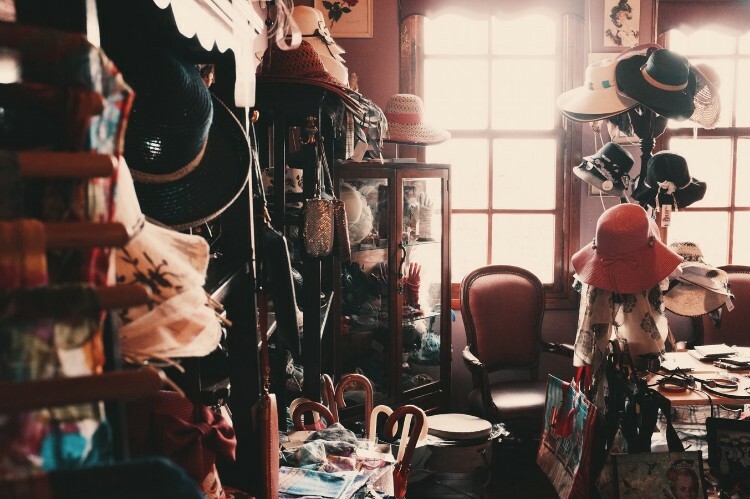 The part of clutter, though, that I think can be most debilitating is that which we hold in our minds. The critic. The saboteur. The mean girl. Disparaging words that we repeat to ourselves as a matter of habit. Well that was stupid! You can’t do that! Who do you think you are? It includes all the thoughts which drag us down, hold us back from doing something brave, and keep us from being brilliant. Is it time to clear the clutter? I believe one way to reduce the clutter in every aspect of our lives is to get organized. Take some time to clear things away that you don’t need in your sight, within reach, or with instant recall. That goes for everything from your stuff, people, activities, and your innermost thoughts. Being organized isn’t about being perfect … it’s about making progress. One of the things I do well is get organized. I’ve taught this skill for many years, within my many corporate roles and now as a life & career coach. It’s foundational. Being well-organized creates an atmosphere of peace, calm and control—around us and within us—when it is done in all areas of your life. I’ve heard a repeating mantra from clients, colleagues and friends—I did get organized! And then stuff happens and it’s all cluttered again! Here’s what I know for sure: getting organized is not a one-time act. It first take a desire to BE organized. Then it takes an ongoing commitment to stay organized. And, once you learn a few basic steps that you can apply to get organized in each area of your life, you have the tools you need to quickly get back to that organized state, when life happens, that brings clarity—of your space, your support system and your thoughts. Let me set the record straight: I am a very organized person—usually. But, in my life over the last couple of years, staying organized has been a real struggle. So, there is a cycle for me—as for many people I know. We get organized, stuff happens, we get a bit disorganized again, and we need to clear the clutter again. This happens in my home. It also happens in my head! So, I make the time to start again. That’s the way I get back to clarity in my life. For those of you who might like to learn my tried-and-true method for clearing the clutter and getting organized, you might want to read this article. I call it “tried-and-true” because it has served me very well as I repeat the process year after year. Not perfect. A work in progress. Not everyone finds it easy to break things down in a methodical way. Clearing clutter and staying organized can be a challenge for some. I want you to know that “there is always more than one way to skin the cat” (this, coming from a cat-lover), and customizing my approach is another one of the things I do well. So if there is an aspect of your life that needs de-cluttering and organizing, I’m happy to help. We can get you started with a complimentary call. If you get nothing else from this today, remember that getting started is the first step. And it’s not about being perfect—it’s about making progress.